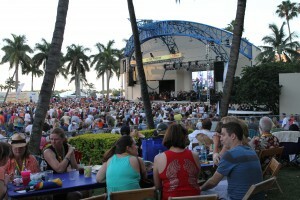 A-OK Sunfest 2016 starts April 27 and runs till May 1 in downtown West Palm Beach Fl. We’re so excited to see all of the amazing bands, national and local/regional talent that is going to play on the many Sunfest stages. The national headliners include: Duran Duran, Alabama Shakes, Meghan Trainor, Train, Jason Derulo, Steve Aoki, Death Cab for Cutie, G-Eazy, Slightly Stoopid, ZZ Top, Bastille, Walk the Moon, The Roots, Fitz and The Tantrums, Capital Cities, Evanescence, Flogging Molly, Andy Grammer, Rick Springfield, Scott Bradlee’s Postmodern Jukebox, Salt N Pepa, Goldfinger, Shovels & Rope, Lukas Graham, Butch Trucks & The Freight Train Band, The Joy Formidable, Coleman Hell, Judah & The Lion, The Babys, LunchMoney Lewis, Watch the Duck, Saint Asonia, Drew Holcomb and The Neighbors, The Bright Light Social Hour, Devon Baldwin, Jesse Royal, Dylan LeBlanc, Bobby Lee Rodgers, Secret Weapons, and Ria Mae. Who are you excited to see? We’ll be doing interview so let us know who you are excited to hear from. If you are interested in joining the 2016 SAM Press Squad drop us a line here. Especially if you’ll be attending some festivals or shows…we’d love you to cover them for us as well.